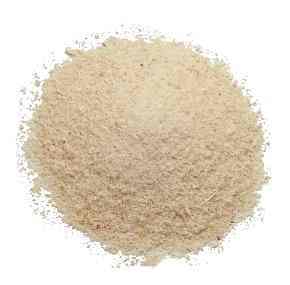 barley flour Substitutes: other nonwheat flour Notes: To see how to substitute other flours for wheat flours when making yeast breads, see the listing under all-purpose flour. 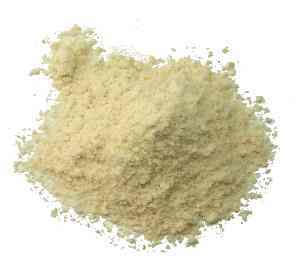 besan (flour) See chickpea flour. 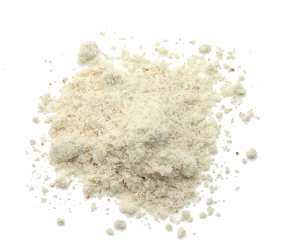 blue atole flour Notes: This is blue cornmeal that's been roasted. It's cooked and served for breakfast much like oatmeal. blue corn flour See harinilla. 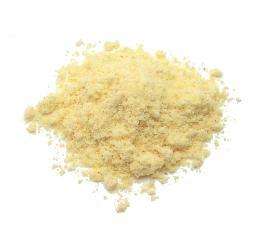 brown rice flour See rice flour. 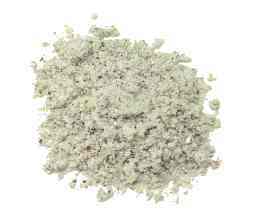 buckwheat flour Notes: This is a low-gluten gray flour that's great in pancakes and pastas. 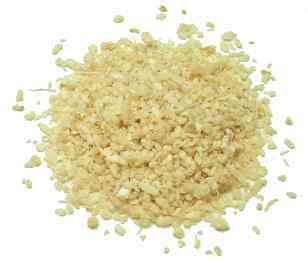 To make your own: Pulverize whole white buckwheat groats in a food processor or blender until they have the consistency of flour. 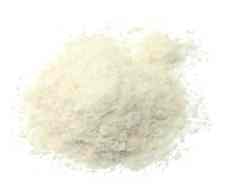 Substitutes: all-purpose flour OR other nonwheat flour Notes: To see how to substitute other flours for wheat flours when making yeast breads, see the listing under all-purpose flour. 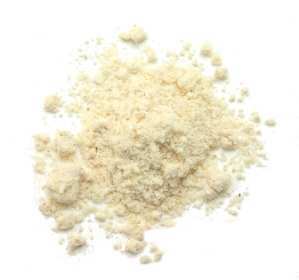 chana flour See chickpea flour. chapati flour = chapatti flour = chappati flour = atta Notes: This is a blend of wheat and malted barley flours used to make chapatis. Look for it in Indian markets. Substitutes: Sift together equal parts whole wheat flour and all-purpose flour. chapatti flour See chapati flour. 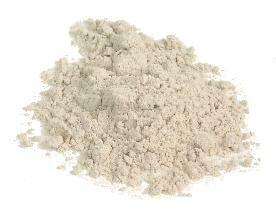 chappati flour See chapati flour. cici flour See chickpea flour. 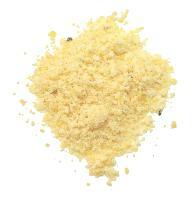 corn flour To make your own: Mix cornmeal in a blender until it has the consistency of flour. 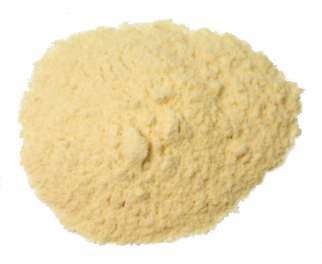 Substitutes: cornmeal (more coarsely ground; consider cooking with liquids in recipe first to soften) OR other nonwheat flour Notes: To see how to substitute other flours for wheat flours when making yeast breads, see the listing under all-purpose flour. 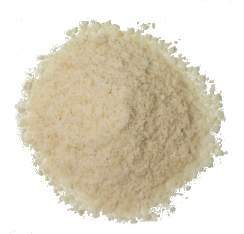 cornmeal = mealie meal Equivalents: One pound = 3 1/4 cups Notes: Cornmeal comes in different colors: white, yellow, and blue. 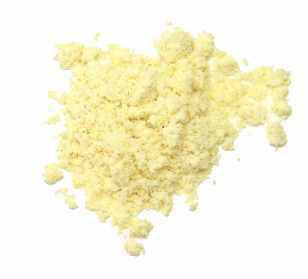 Yellow cornmeal has more beta carotene than the others, while blue cornmeal has more protein and turns baked goods purple. 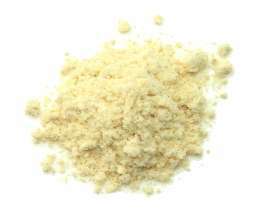 Larger supermarkets also carry stone-ground cornmeal = water-ground cornmeal, which is more tasty and nutritious than regular cornmeal, but doesn't keep as long. See also self-rising cornmeal. 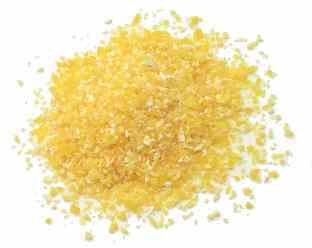 Substitutes: polenta OR corn flour (gives baked goods a lighter texture) OR (if using cornmeal for breading) crush corn chips in a blender until they have the consistency of cornmeal. 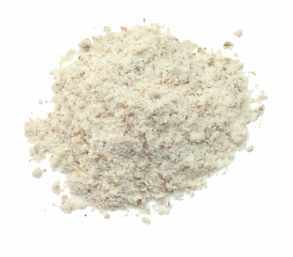 dal flour = legume flour Notes: This is flour ground from Indian legumes. Varieties include besan flour (made from channa dal), urad dal flour, and mung dal flour. dhokra flour = dhokla flour = dokra flour = dokla flour Notes: This Indian flour is made from a blend of rice, urad dal, and chickpeas. It's used to make cakes that look like squares of cornbread, which Indians steam and garnish with grated coconut, tamarind sauces, and other seasonings. 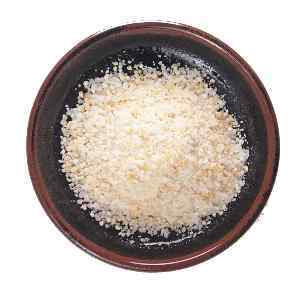 farinha mandioca See manioc flour. 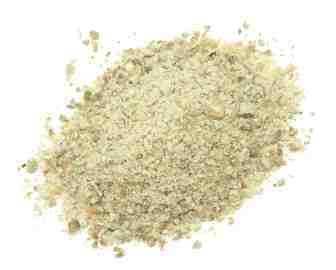 garbanzo bean flour See chickpea flour. gluten-free flours Notes: Gluten is what makes wheat-based bread dough so sticky and elastic. This helps the dough hold in the air bubbles created by the yeast so that it will rise and eventually bake into a fluffy, porous loaf. If you're gluten-intolerant, though, you'll need to use gluten-free flour, along with an arsenal of ingredients to make it behave like it has gluten. 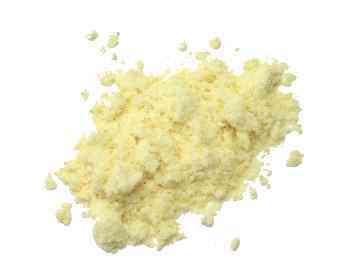 gram flour See chickpea flour. 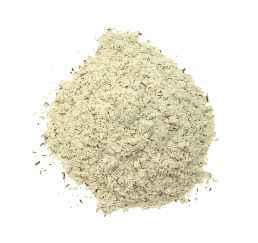 millet flour Substitutes: rice flour OR other nonwheat flour To see how to substitute other flours for wheat flours when making yeast breads, see the listing under all-purpose flour. mung dal flour Notes: Indian cooks use this to make breads and dumplings. 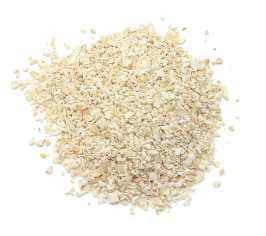 oat flour To make your own: Blend oatmeal in blender until it has the consistency of flour (Use 1 1/4 cups rolled oats to make one cup oat flour. 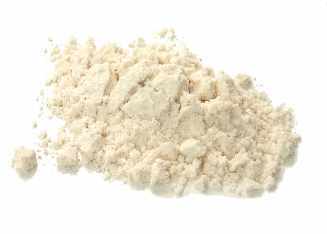 For more details, visit the Illinois Cooperative Extension Service's Oat Flour, Grinding Your Own page.) Substitutes: whole wheat flour OR other nonwheat flour To see how to substitute other flours for wheat flours when making yeast breads, see the listing under all-purpose flour. 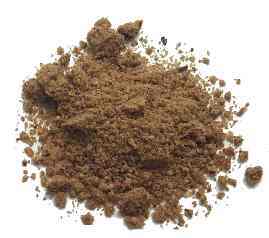 pumpernickel flour = dark rye meal flour Notes: This flour is made from the whole rye grain, including the bran. rice flour (includes white rice flour and nuttier brown rice flour) Substitutes: cake flour (especially if the rice flour is intended to soften the texture of a baked good) OR barley flour (also delivers a softer texture to baked goods) OR pastry flour (also delivers a softer texture to baked goods) OR (for those allergic to wheat) spelt flour (makes baked goods heavier) OR potato flour OR millet flour Notes: To see how to substitute other flours for wheat flours, see the listing under all-purpose flour. 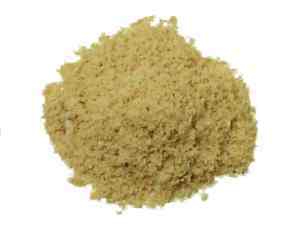 rye flour (includes medium rye flour and heartier dark rye flour) Substitutes: triticale flour OR other nonwheat flour To see how to substitute other flours for wheat flours when making yeast breads, see the listing under all-purpose flour. 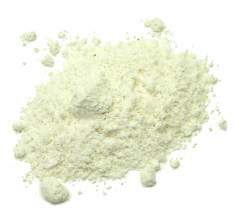 self-rising cornmeal To make your own: Combine one cup cornmeal, one cup flour, one tablespoon baking powder, one teaspoon salt, and 1/4 cup butter or other fat. 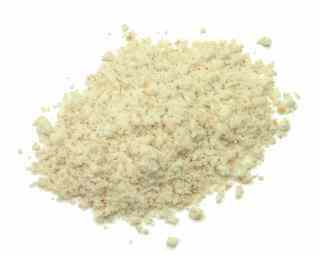 soy flour Substitutes: soya flour (more finely ground, milder flavor) OR other nonwheat flour To see how to substitute other flours for wheat flours when making yeast breads, see the listing under all-purpose flour. 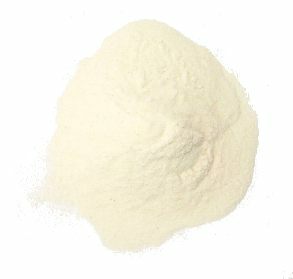 soya flour = soya powder Substitutes: soy flour (not as finely ground, stronger flavor) OR other nonwheat flour To see how to substitute other flours for wheat flours when making yeast breads, see the listing under all-purpose flour. 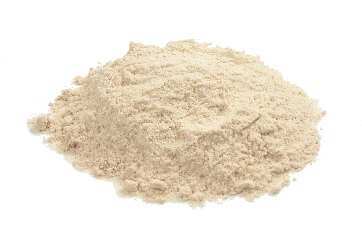 triticale flour Pronunciation: trit-ih-KAY-lee Substitutes: rye flour OR other nonwheat flour To see how to substitute other flours for wheat flours when making yeast breads, see the listing under all-purpose flour. 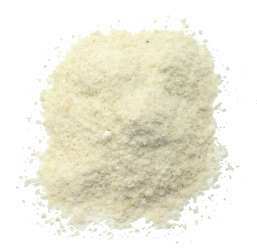 urad dal flour Notes: This is made from urad dal, a type of Indian lentil. The flour is used to make pappadums and breads. white rice flour See rice flour. 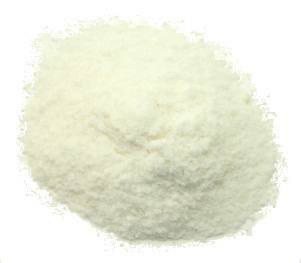 For more information on flour substitutes, visit the Functions of Baking Ingredients page. If you're allergic to wheat flour, visit the Gluten-free cooking and baking hints page or the Basic Rice Recipes for Those with Allergies page.